The case, in stainless steel, measures 39.8mm x 47.5mm x 9.08mm. It has a sapphire crystal and it is water resistant to 100 meters. 7-sided crown set with a faceted synthetic blue spinel jewel. Movement is the Swiss automatic Cartier in-house caliber 1847 MC with 23 jewels, 28,800 vph and a power reserve of 42 hours. 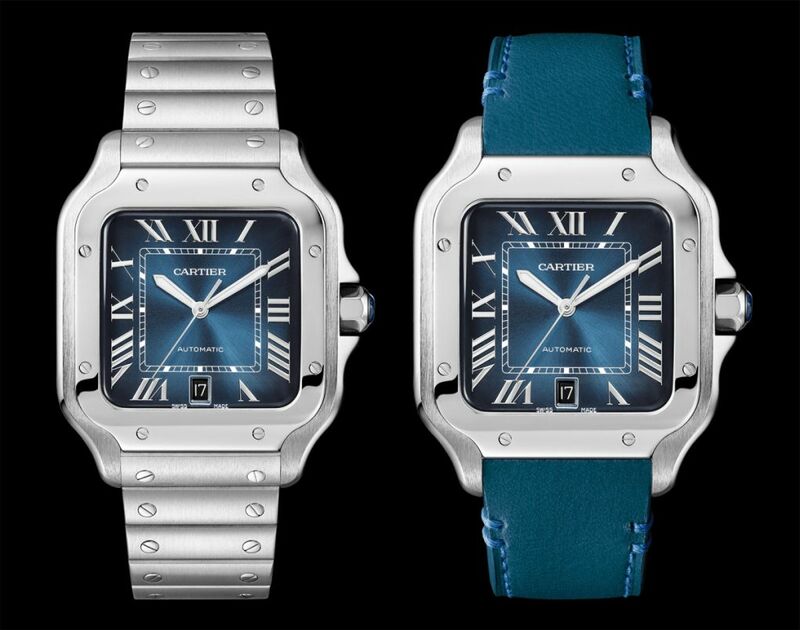 It has a graduated sunburts blue dial, with luminous sword-shaped steel hands. Silver indices and Roman numerals. It comes with two bracelets with "QuickSwitch" interchangeability system; a steel bracelet with "SmartLink" adjustment system, and a navy blue calfskin leather strap with a steel double adjustable folding buckle. The Santos XL is high on my list and I love blue dials. 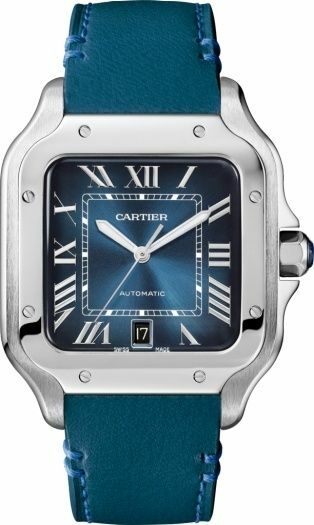 But the Cartier silver dial is a classic. Tough decision. I would prefer it on a strap, but with a darker blue one. I may get a Santos one day. I've admired them for a while. I like that they give you the bracelet as well as a strap. Their strap changing system is quite nice. ...especially when blue is not "a thing". Plus you know you want that "secret signature" on your Roman VII! I guess with the love that blue dialed watched like the Nautilus and FP Journe Chronometre Blue are getting this makes sense. 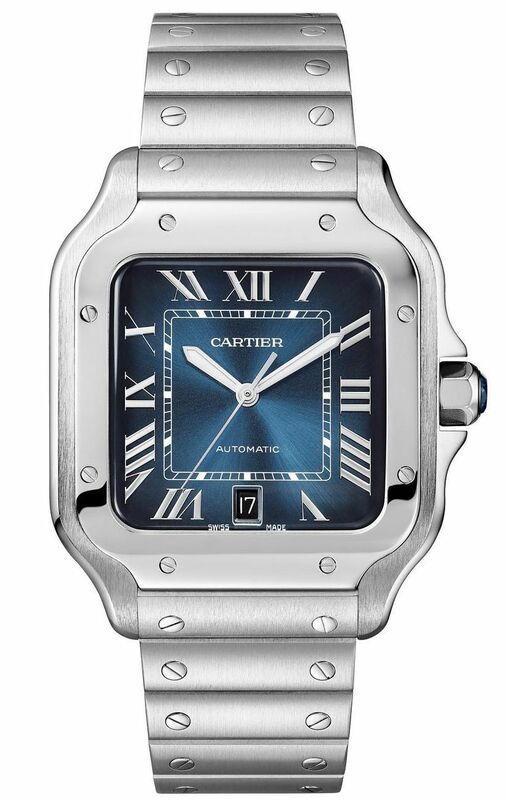 I am kind of a Cartier Santos traditionalist so it's not my cup of tea. I love the blue strap a lot. I also find the strap amusing.